*I received a copy of this book to evaluate for a review. All opinions are honest and are my own. Summary: Epidemics, floods, droughts–for sixteen-year-old Lucy, the end of the world came and went, taking 99% of the population with it. As the weather continues to rage out of control, and Sweepers clean the streets of plague victims, Lucy survives alone in the wilds of Central Park. But when she’s rescued from a pack of hunting dogs by a mysterious boy named Aidan, she reluctantly realizes she can’t continue on her own. She joins his band of survivors, yet, a new danger awaits her: the Sweepers are looking for her. There’s something special about Lucy, and they will stop at nothing to have her. 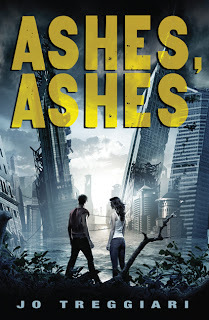 I enjoyed Ashes, Ashes and may I just say, I LOVE the cover of the book. That cover would make anyone pick up the book. My favourite character was Lucy because she is able to take care of herself but also cares for others and understands she can’t always be alone. She is what I would hope I’d be like if I were in her shoes. There are many characters that we don’t know anything about so I could see a prequel come in to play if this book is as popular as I think it will be. It would be nice to know the back story of some of the characters. My least favourite character was Grammalie Rose. I’m not sure why but I guess I didn’t feel she was grandmotherly enough although obviously with the circumstances, she had more important things to do than sit with the kids or bake cookies. I just mean she didn’t seem to be very understanding of Lucy. The story was a bit slow at the beginning as Lucy is by herself and the storyline is being set up. However by the early middle of the book, it’s got your interest and by the last third of the book, it’s got you hooked. I believe 100% that you can expect a sequel to this book in the near future. You can tell when a book has been left open for a future book and Jo Treggiari has already started thinking about one. 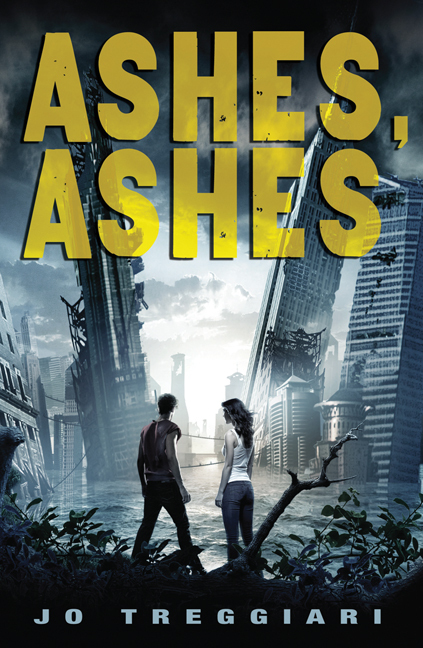 If you like Dystopian YA fiction, you’ll want to check this out. It’s a nice change to have Dystopian fiction that covers more than one end-of-the-world problem. It’s not just Plague or Floods, it’s both.